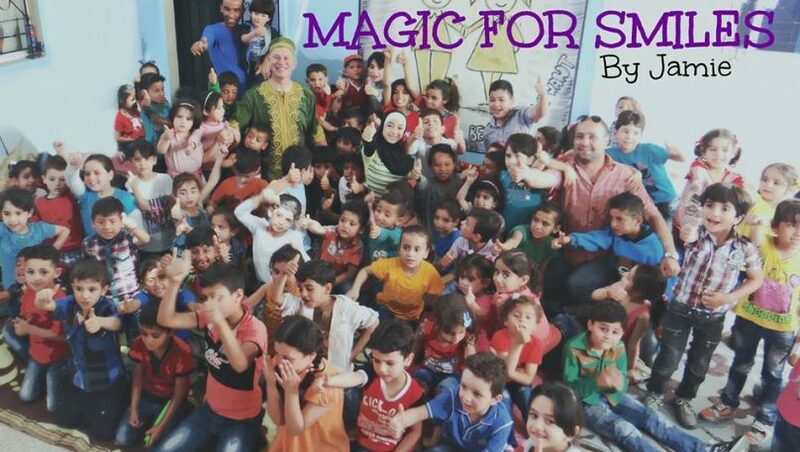 Bring smiles to refugee kids in Lebanon – through magic! 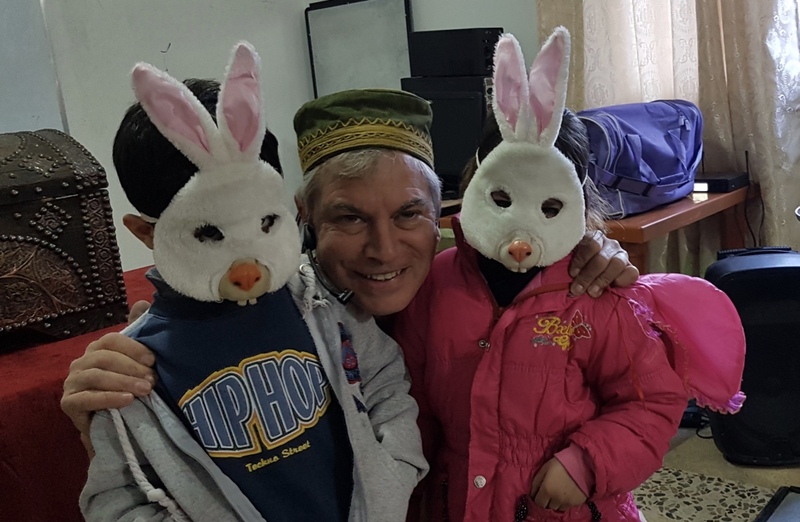 As Jamie Jibberish, a humanitarian magician, I perform magic for and with refugee and other vulnerable children in Lebanon and the region – using my Magic for Smiles shows along with some tuition. 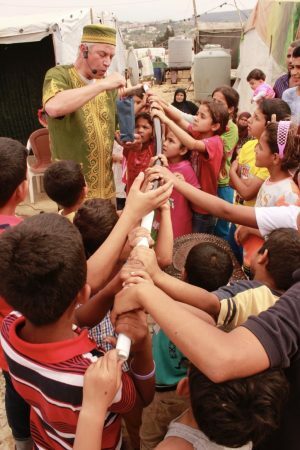 In addition, I do private shows which also help to subsidize the humanitarian shows. 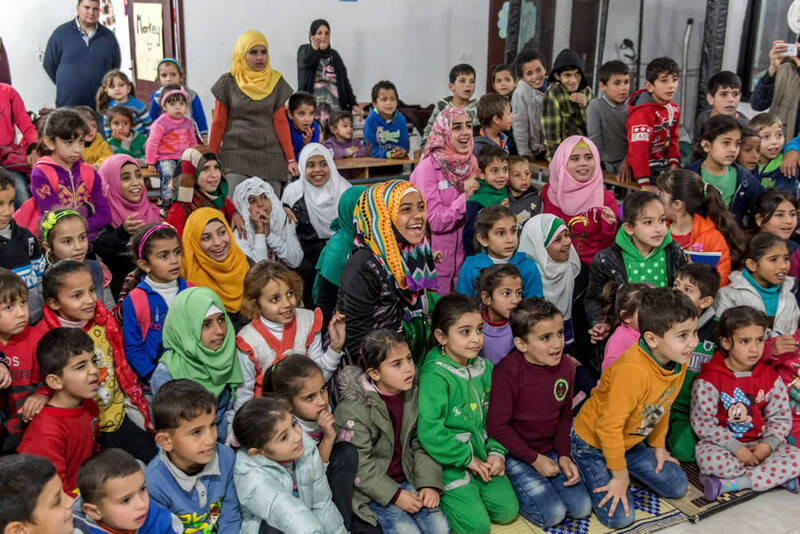 Please use my services to help spread smiles, happiness and wellbeing among these children. 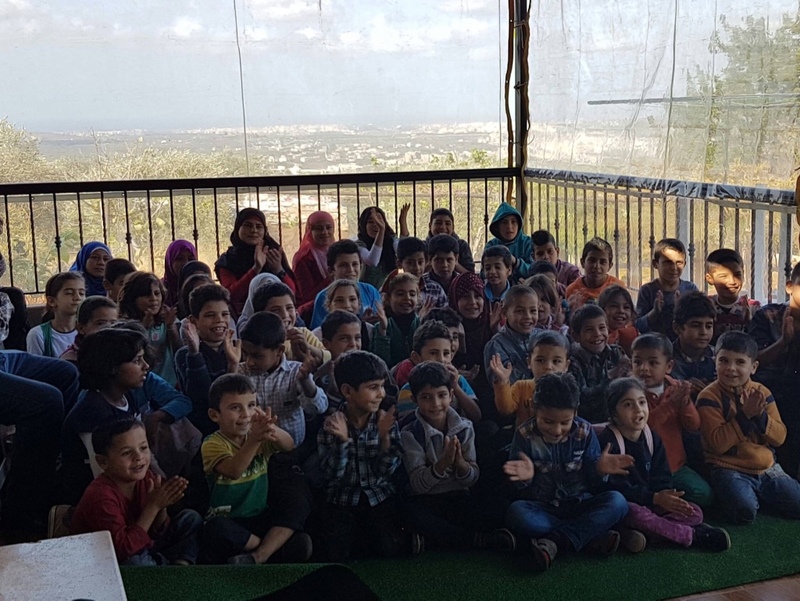 Magic for Smiles is an initiative for refugees and other vulnerable children in Lebanon and to some extent the wider region. 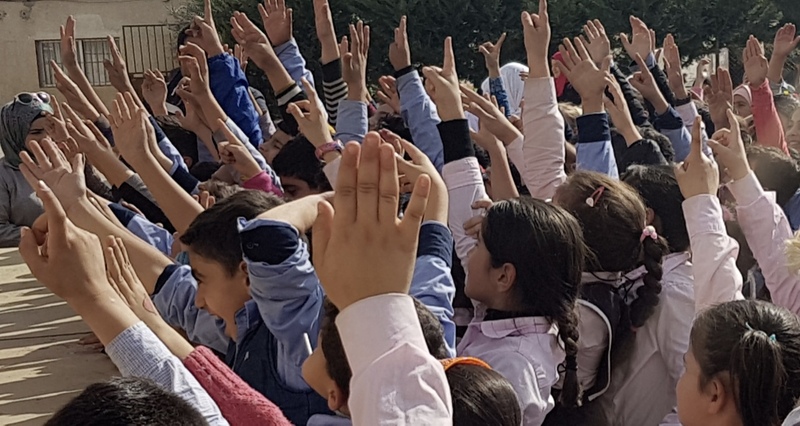 Primarily it is about spreading smiles, happiness and wellbeing by making short or longer term impact on the lives of vulnerable and traumatised children. 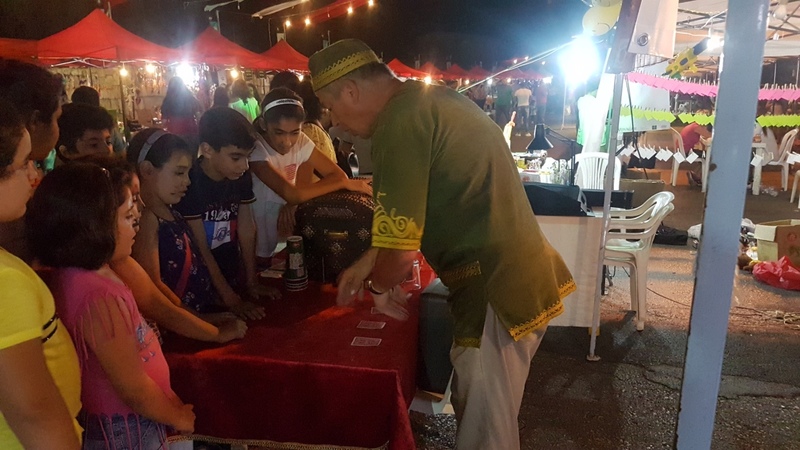 The project as a whole aims to raise awareness on the potential impact of magic and seeks funds to sustain it through private shows and other means. Learn some great tricks and discover the joys of magic. Hire Jamie Jibberish for a private magic show. Great fun for everyone of all ages. Please contact Jamie with your requirements. 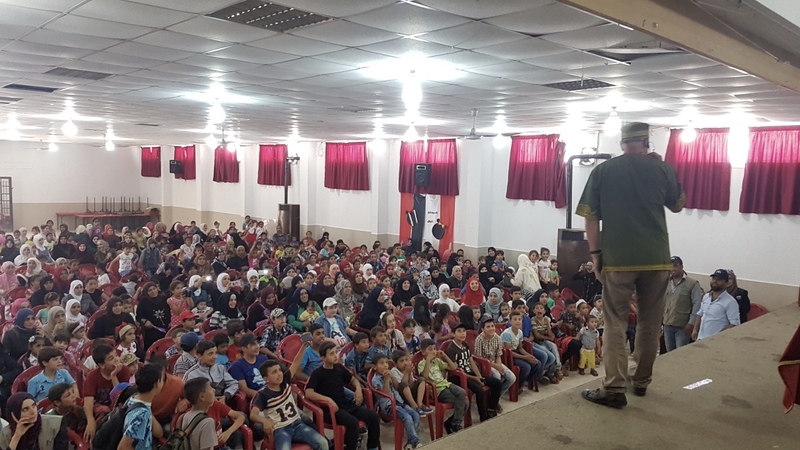 Jamie joined AL-JANA, NGO, in the JANANA Spring Festival where he toured with us each of Tripoli, Baalbak, Tyre and Sidon. He surprised all of us with his magnificent tricks and loving spirit. 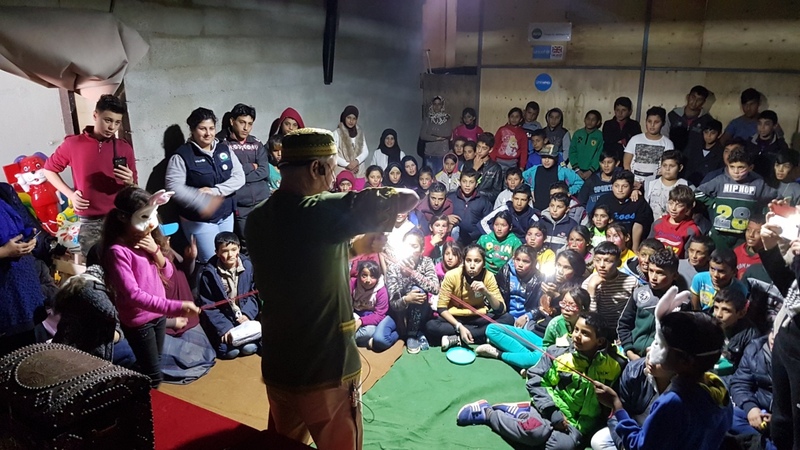 As part of our work in improving psychosocial well-being, Jamie offered hundreds of children from Palestinian camps an escape from their difficult reality and the hope of an entirely different world than what they have grown to know. 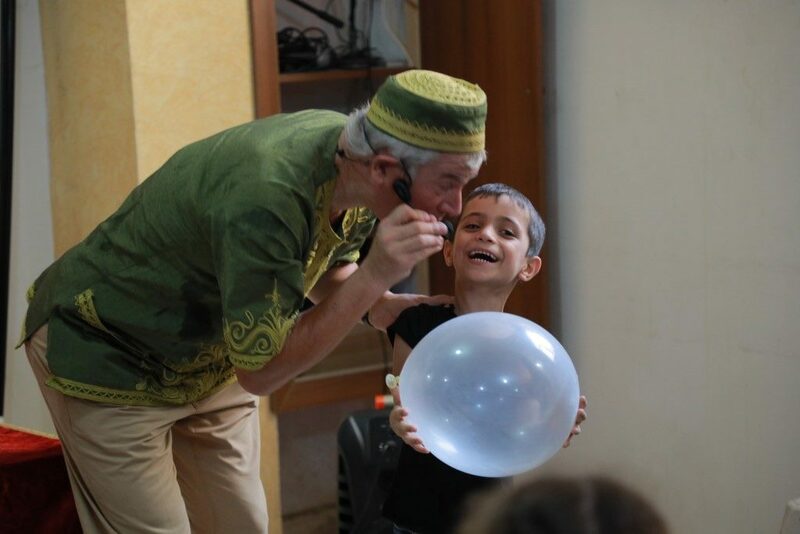 His tricks left not only the kids, but all the staff members in awe too. We will definitely be working with Jamie again. The experience was phenomenal. 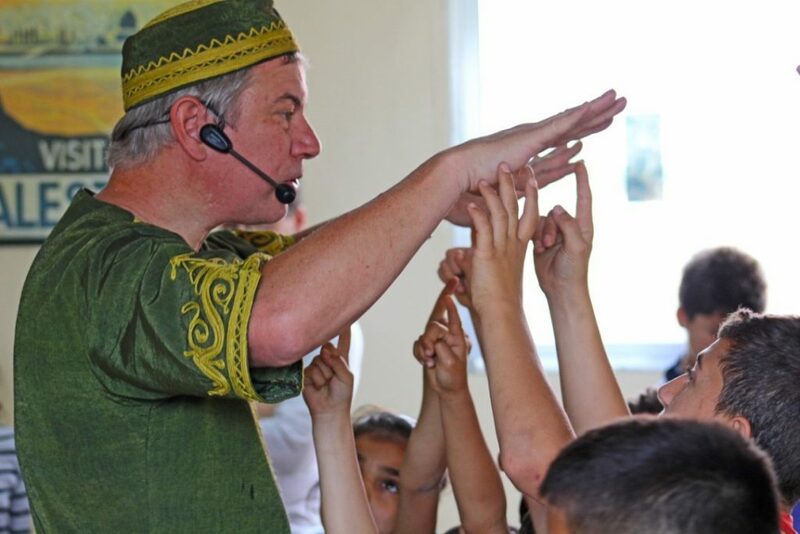 The children were extremely engaged and loved the show. 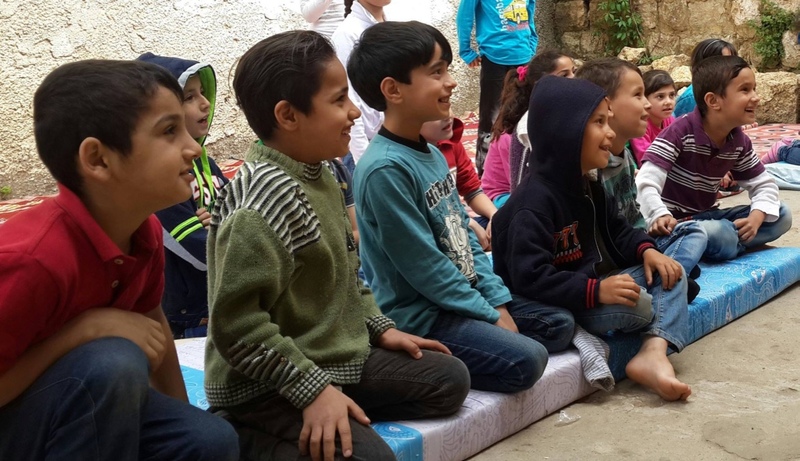 It was wonderful seeing the smiles on their faces. Well done Jamie. Thank you for the much needed joy you brought to our students. 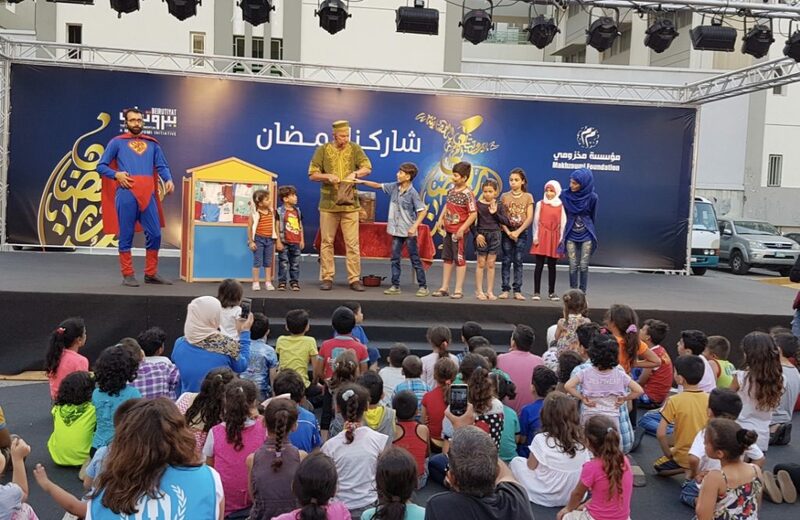 The children were amazed by the show and it was for them a very special event where they focused all their attention …they even did not want to leave when it was over! The 4 magic shows ….have brought joy and positive effect on the street and working children. Magic helps their sense of creativity and imagination; it is a door for escapism from the daily difficult reality they face. It also works on developing their cognitive skills as they concentrate, analyse and try to discover the tricks. 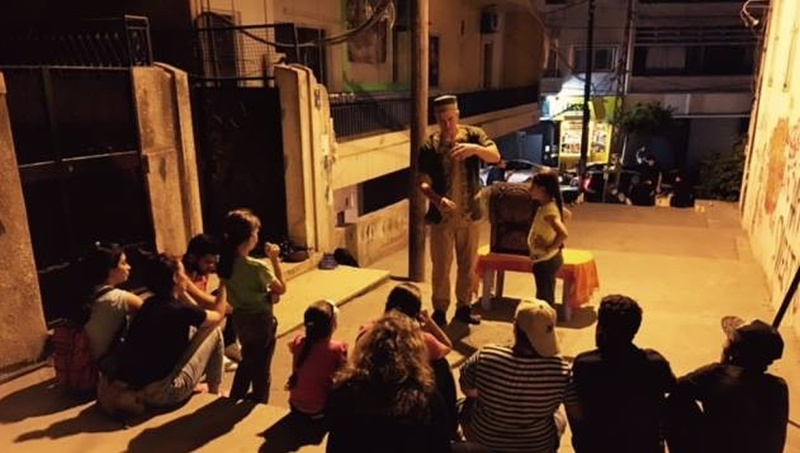 The sessions were very interactive and both street children and youths expressed their fascination and happiness after the shows. Children are in need of such creative sessions to put a smile on their face and help them get inspired during their daily life. 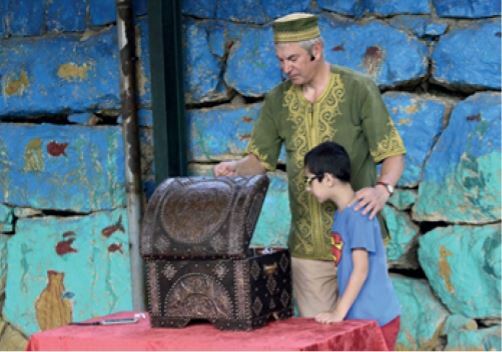 Magic helps them develop their cognitive, creative and even communication skills. 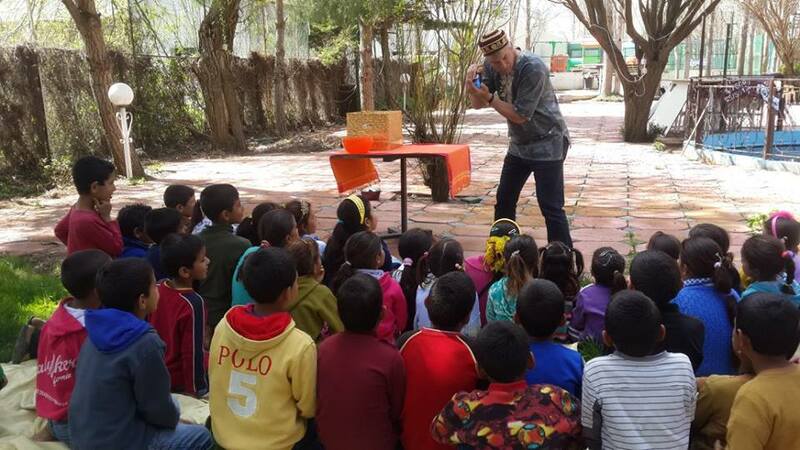 The children …were mesmerized by all the amazing magic tricks. 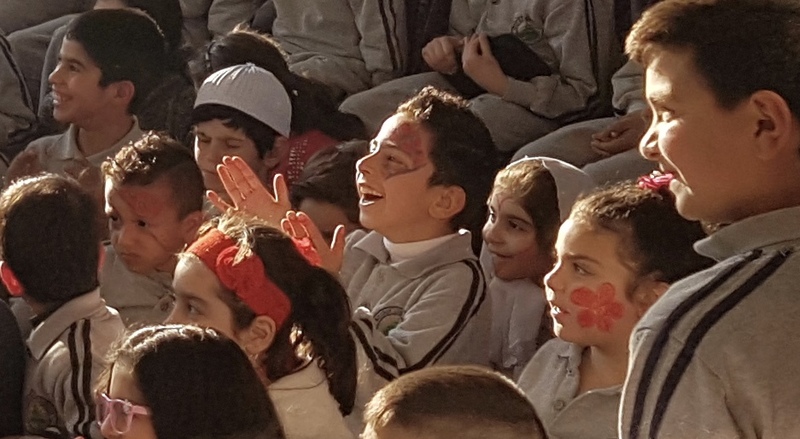 It was an unforgettable experience for them as they got the chance to participate for the first time in such interactive shows that brought them so much excitement and joy! 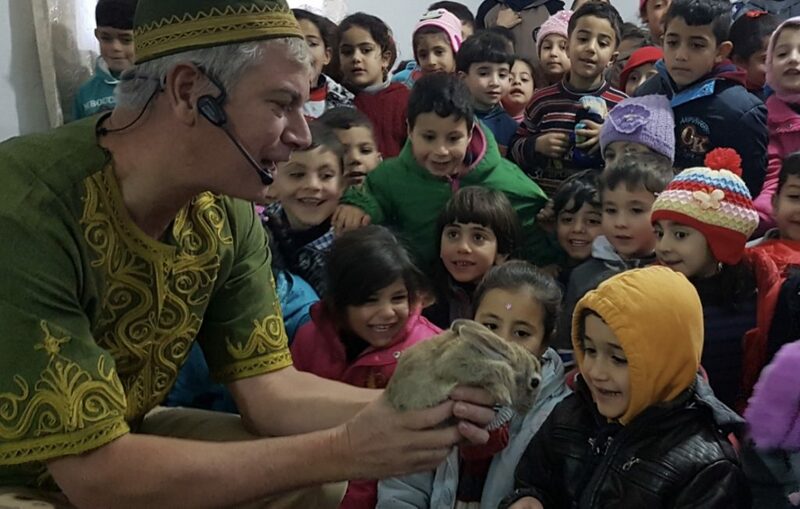 Jamie enchanted all the kids at EYWA- Dar al Hadana [nursery]. 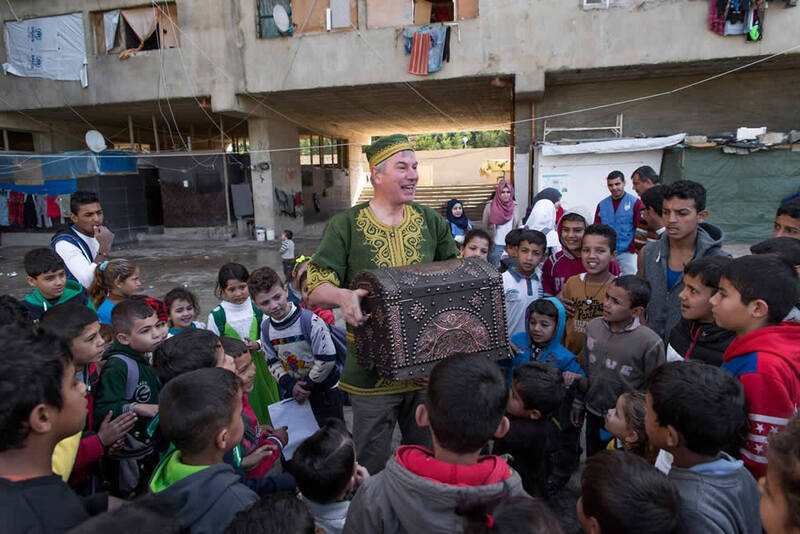 We are grateful for having him perform and for all the beautiful smiles he put on our kids faces. We can’t thank you enough you have a heart of gold god bless keep drawing those smiles and enchanting those little souls. 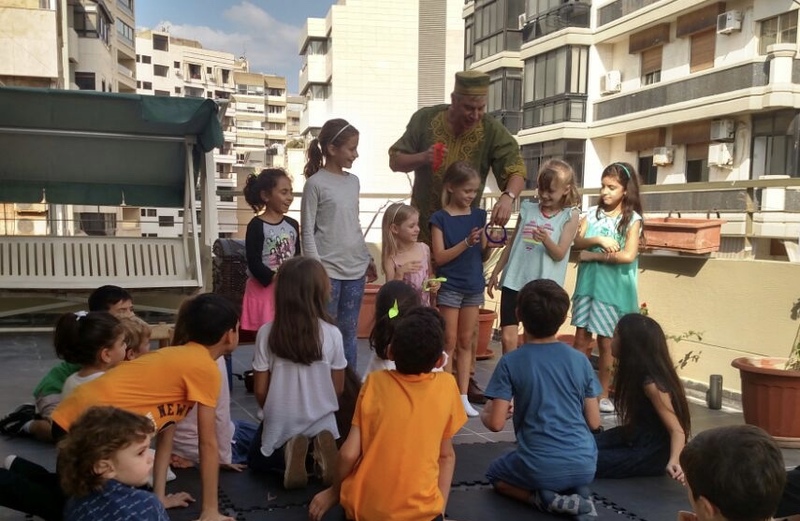 Jamie adapted the shows to fit different age groups from 5 to 14 year olds and all children were delighted by the fun, great magic! 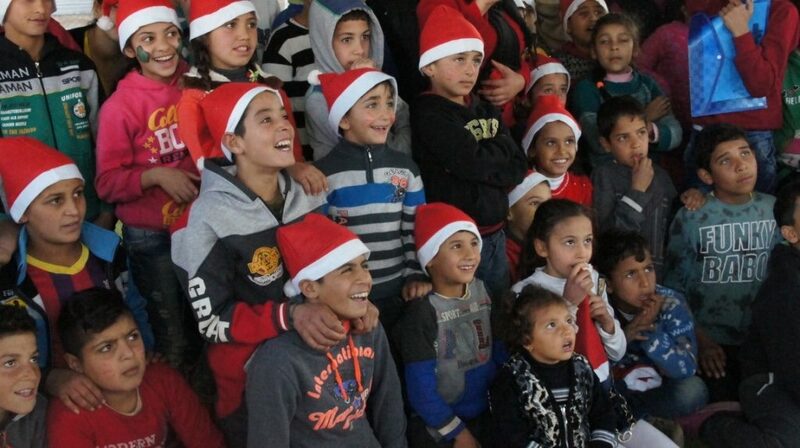 With very simple material he was able to surprise them, make them laugh and cry from excitement. He also ran two magic teaching sessions separated by age, initiating them to nice tricks with simple materials. Very professional, the children of Mob Art project really loved his show and kept asking us about him for weeks! 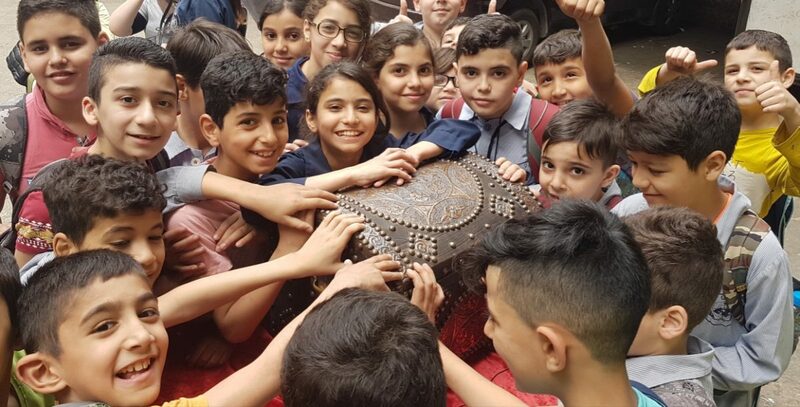 We would like to thank you Mr. Jamie for your amazing show and we are lucky to meet such a talented magician like you. 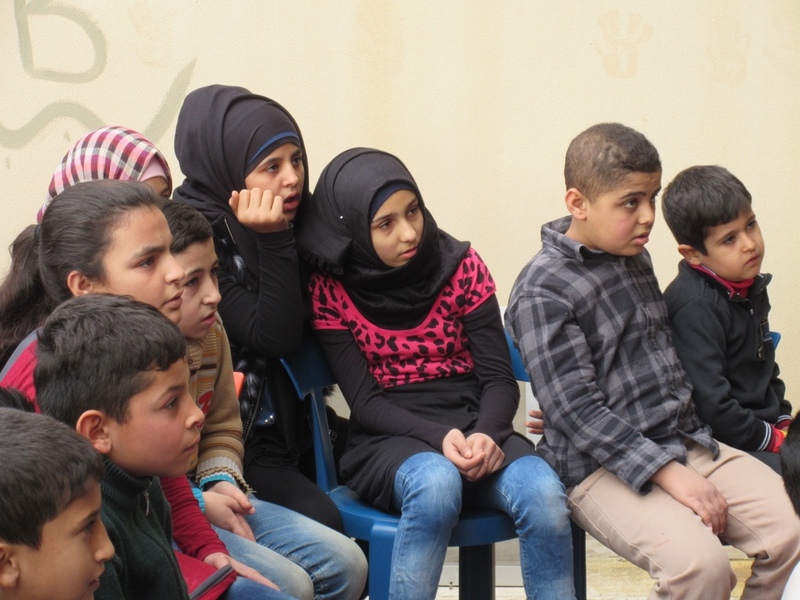 You made our day …and the children are requesting to see you and your show again. The program was very rich and full of surprises. 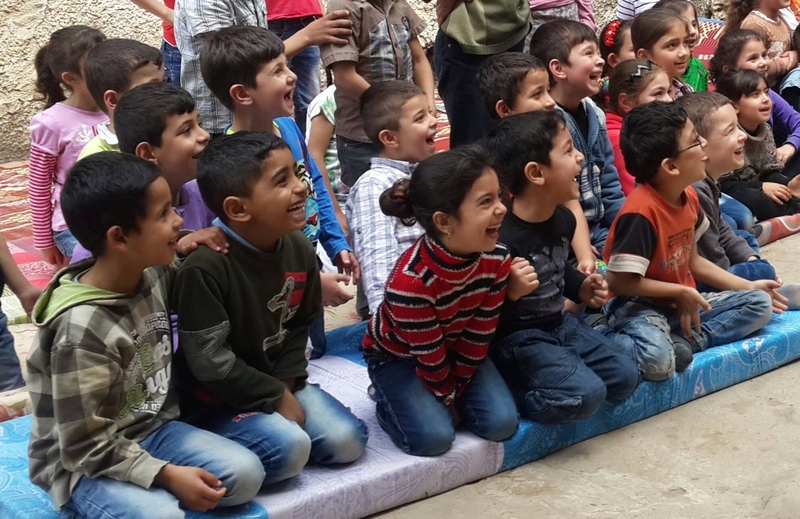 Laughter and Magic Smiles were on many faces, kids and staff. I loved your gentleness and kindness and the way you involved the kids. You really made them wonder and think, they kept talking about it for hours. 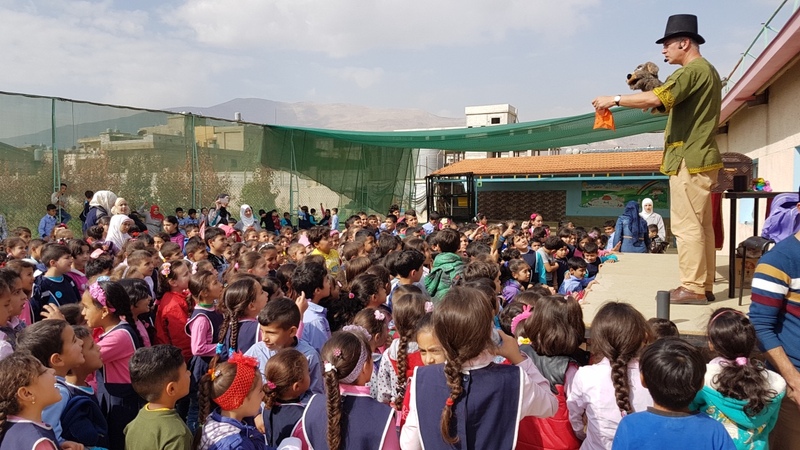 Humanitarian magician known as Jamie Jibberish (due to his use of magic language ) performed twice for Save the Children recently. 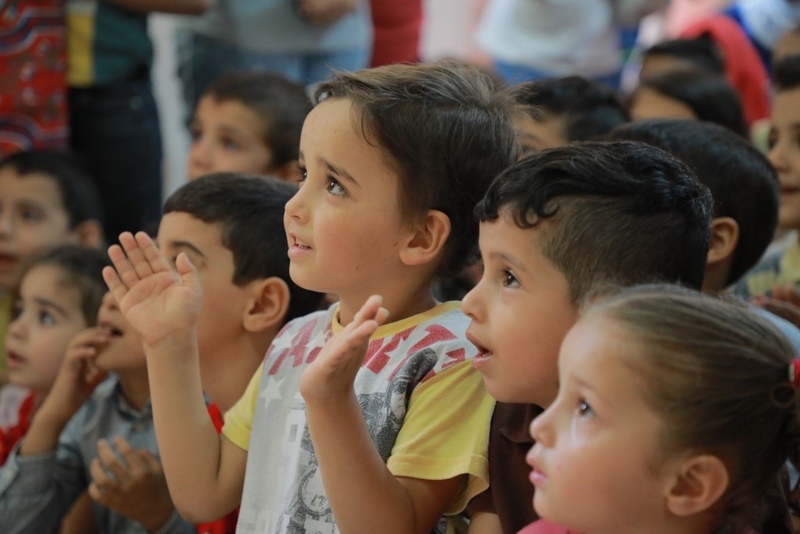 This was in our activity centre ( or child friendly space) in the UNHCR registration centre in Tripoli where children attend whose parents queue up for interview. 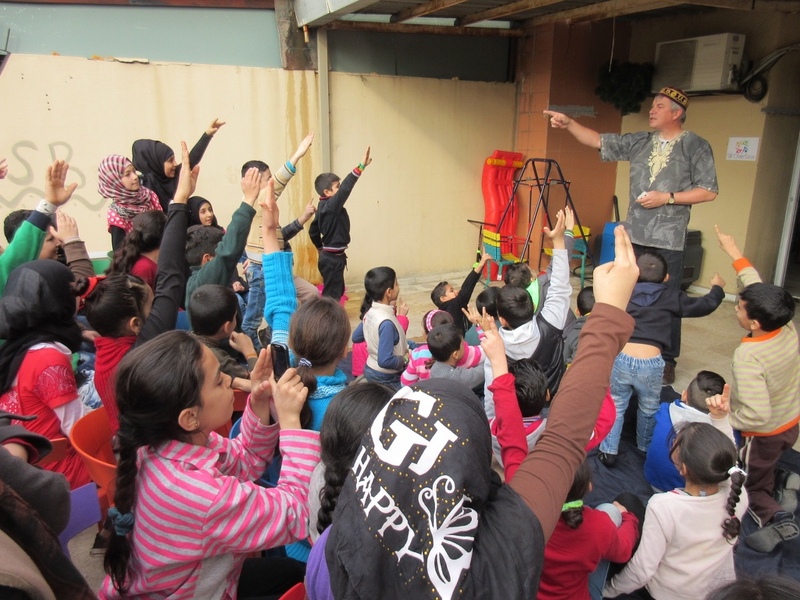 The children interacted very well and really had a lot of fun – we very much appreciated the rare initiative of Jamie the magician. 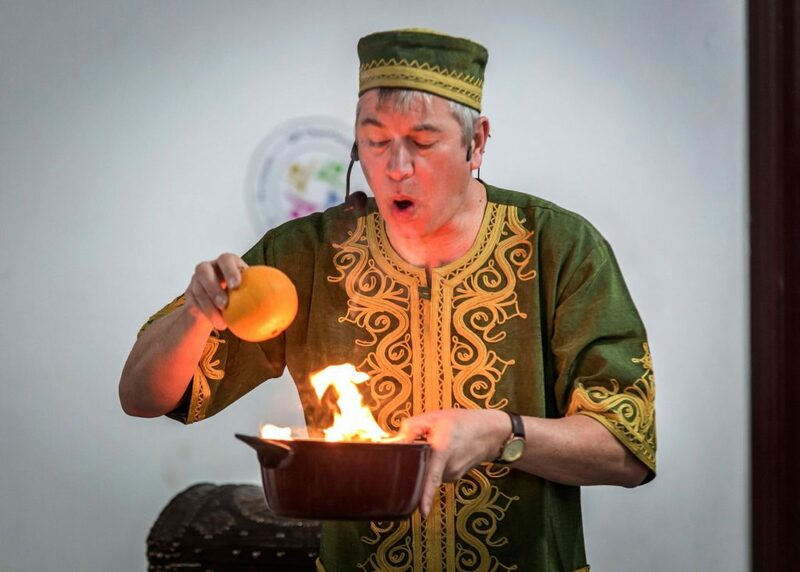 Jamie gave a fantastic magic show for our two children’s birthday party at our home and kept over 20 six to eight year olds spellbound for forty minutes. 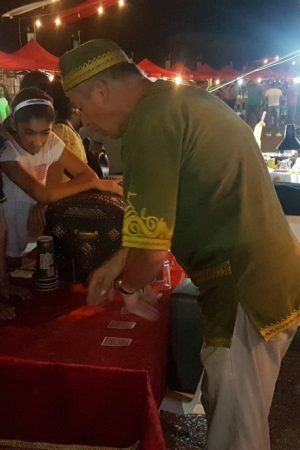 Jamie is a gifted magician, and interacts well with his young audience…I would highly recommend Jamie for your children’s birthday party. At our New Year’s House Party… Jamie, instantly brought people together and turned everyone into enchanted little kids. Thank you for the smiles and tricks! Jamie, hope to see you back with us soon. MAGICAL offers a variety of packages for all your events including Birthdays parties, gatherings, Halloween parties and themed events. 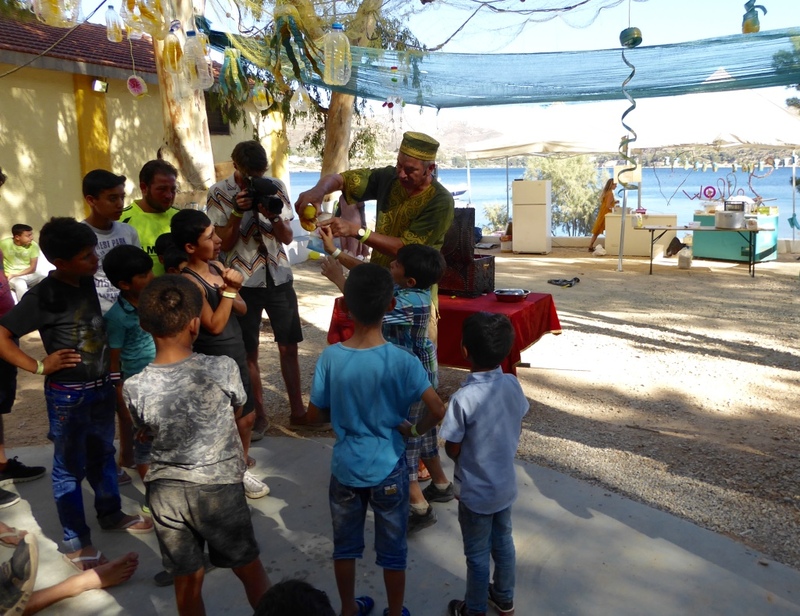 Last week there were a birthday and Jamie came and did a magic show and the children (about 20 kids) liked the show so much. 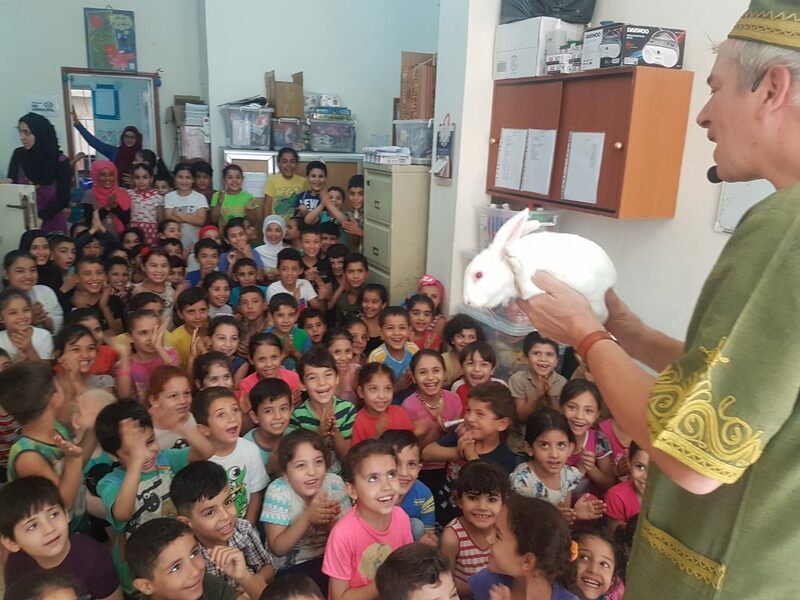 A crowd of very excited 4 year-olds were spellbound for the entire half hour, and all clamouring to participate in the act. 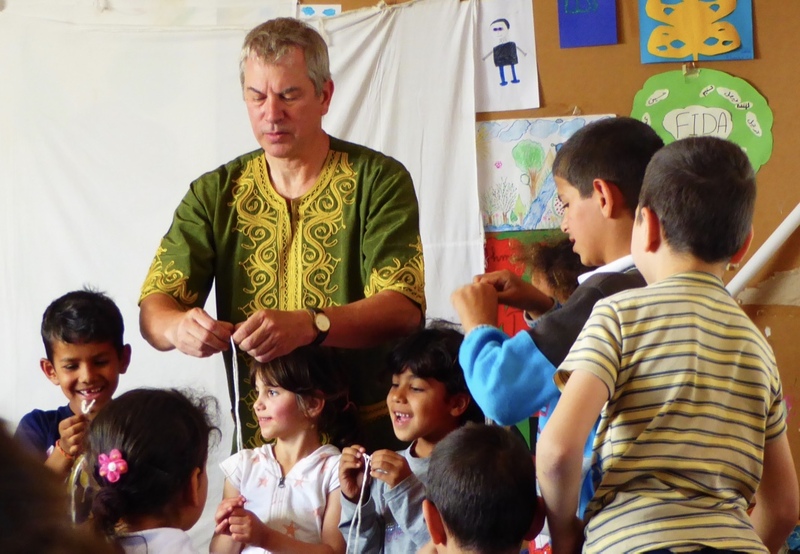 The show was thought provoking for the kids and Jamie was great at getting them involved. A wholehearted recommendation to other parents. 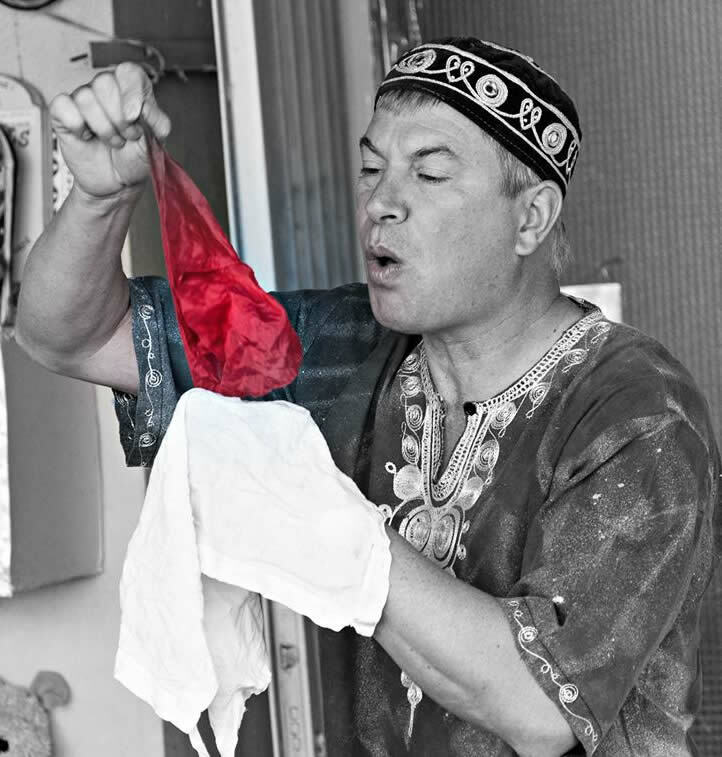 The first time I saw Him, i thought, he’s too serious to be a magician. Then, I checked his Facebook page and saw some beautiful photos showing kids reactions. 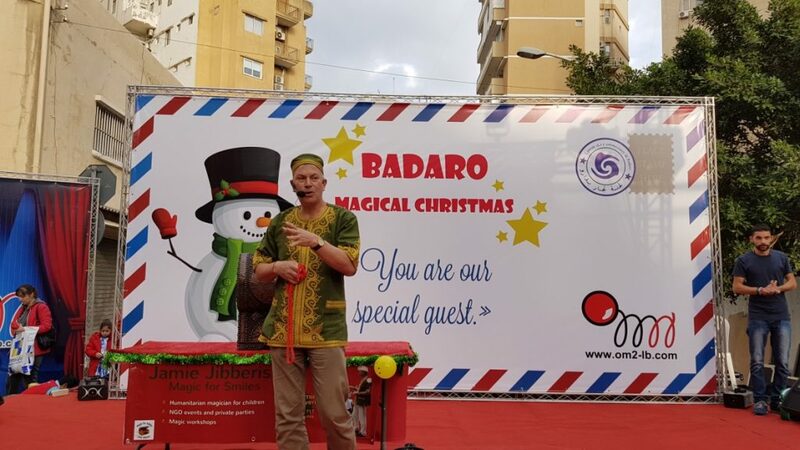 BUT, seeing his live show at Badaro Magical Christmas…. that was amazing! Behind that serious look, there’s a wonderful personality that catches the attention of all ages audience. Jamie … the Humanitarian Magician. 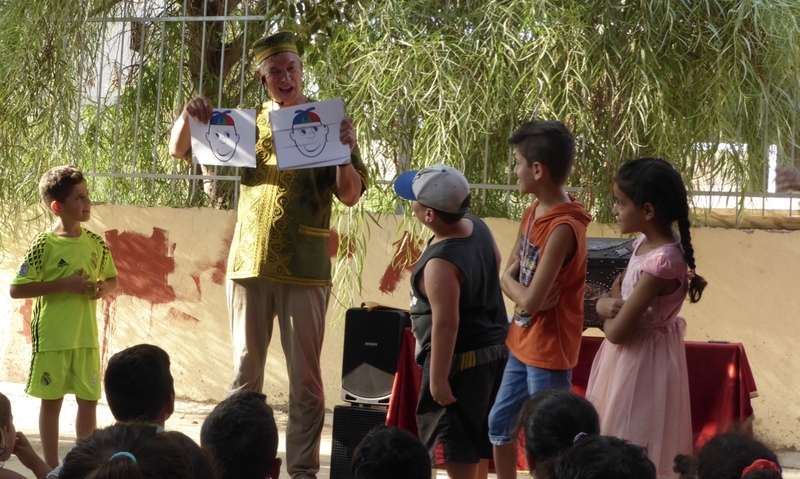 Jamie presented 3 magic shows for the children of Yalla! 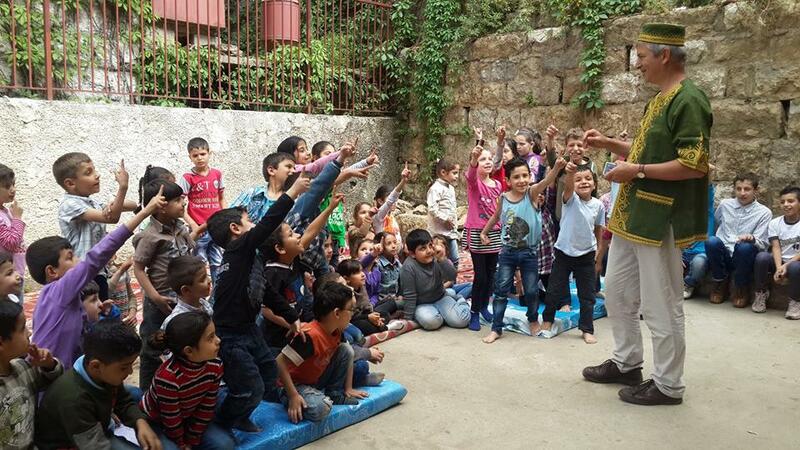 Pour les Enfants school in Aley and students of Aley First public school. 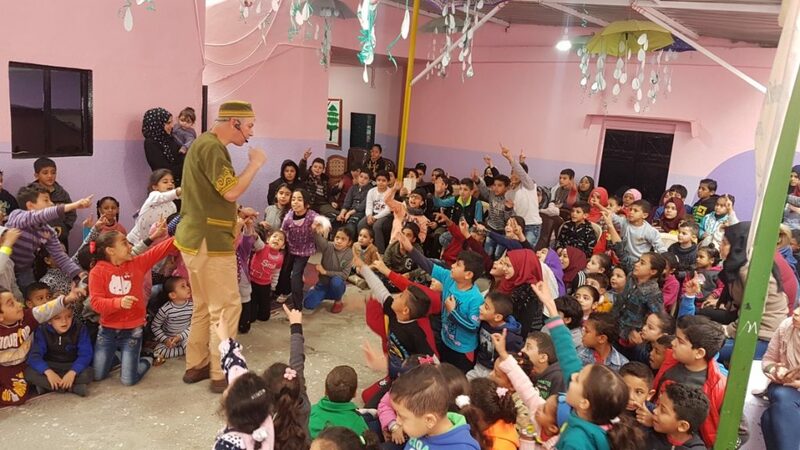 He adapted the shows to fit different age groups from 5 to 14 year old and all children were delighted by the fun, great magic! 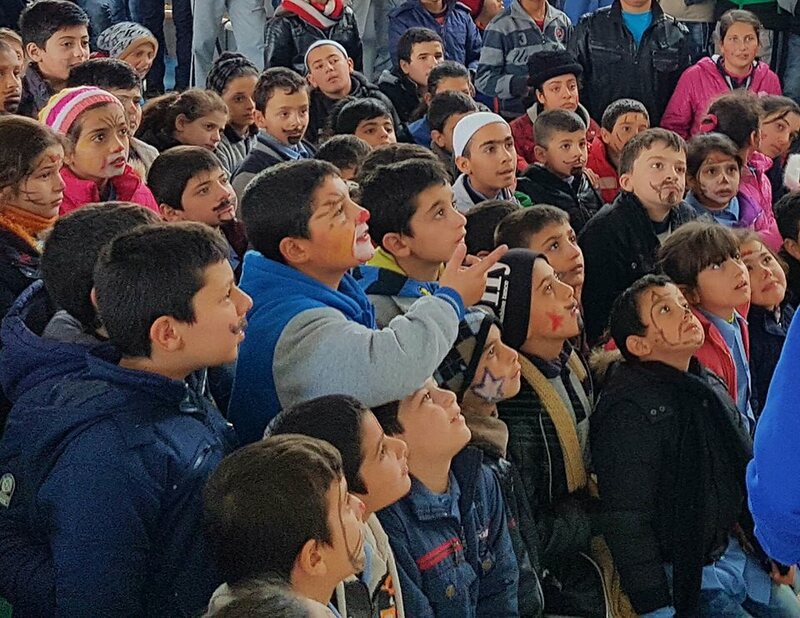 With very simple material he was able to surprise them, make them laugh and cry from excitement. 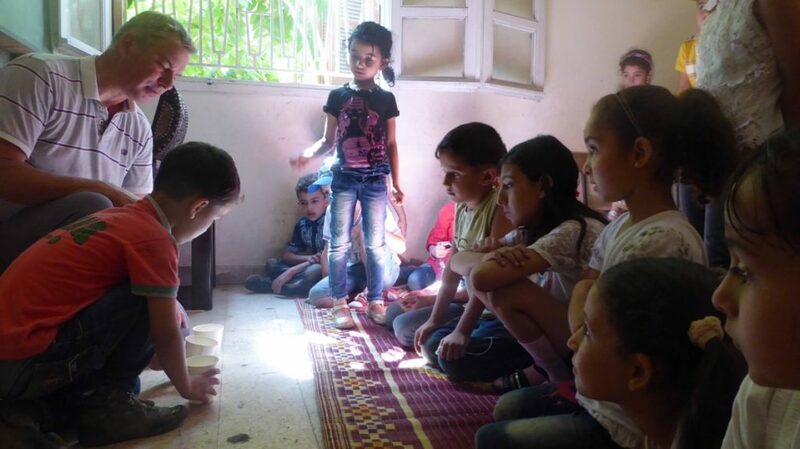 He also ran two magic teaching sessions separated by age, initiating them to nice tricks with simple materials. 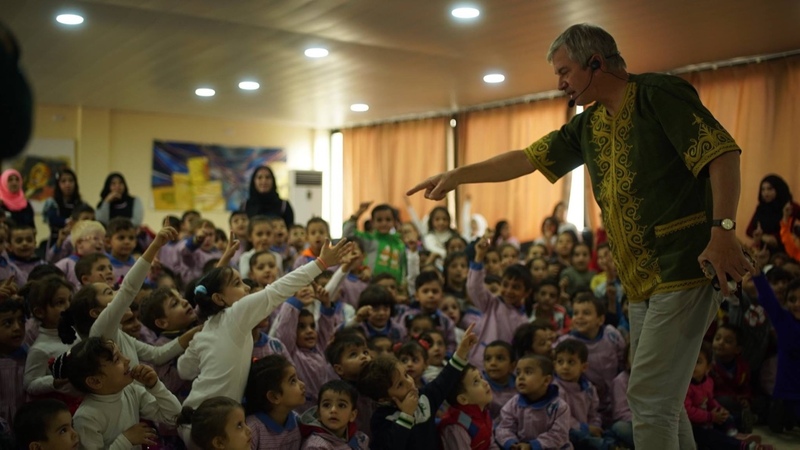 Thank you Jamie for these wonderful moments you offered the children! 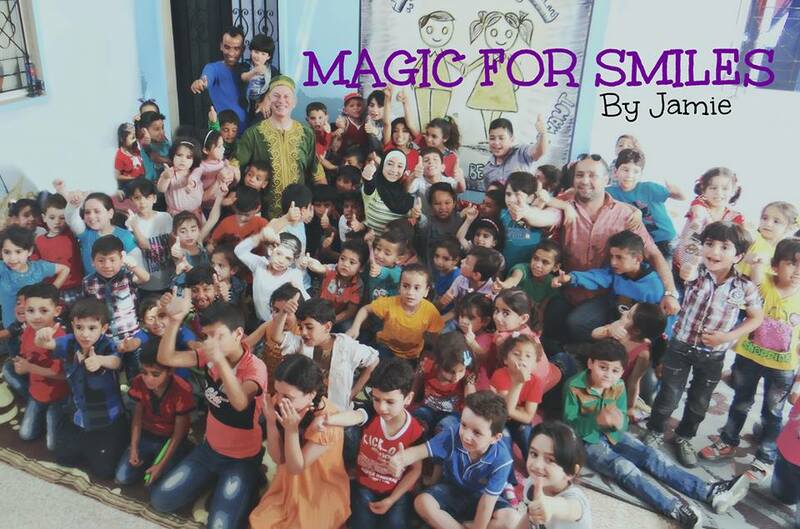 For all enquiries, please contact us at magicforsmiles@gmail.com. Thank you.